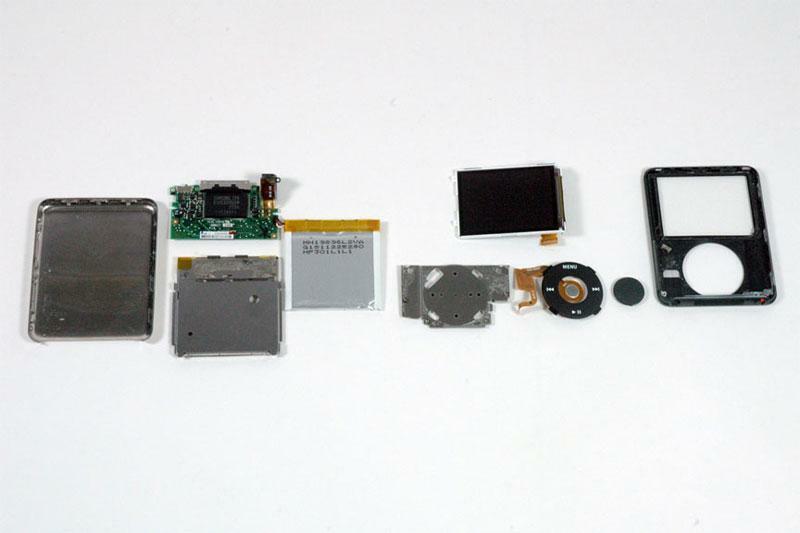 The first tear-down photos taken of Apple's new third-generation iPod nano and sixth-generation iPod classic are in, revealing extensive use of adhesive inside the nano and a new support plate behind the classic's noticeably thinner display. 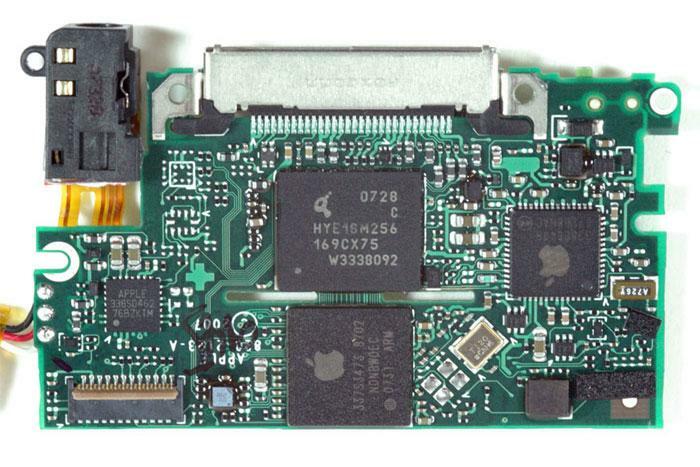 Once again, props for the tear-down go to iFixIt, which sells repair parts for nearly all of Apple's consumer electronics products. 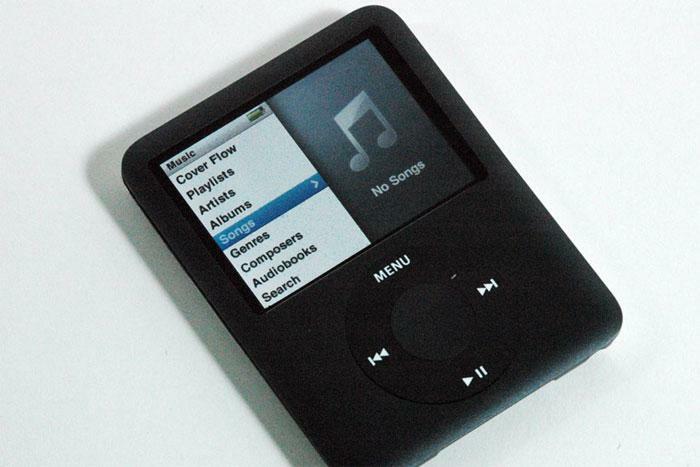 According to iFixIt's measurements, the new iPod nano sports approximately the same surface area (36 square centimeters) as its older siblings despite being shorter and wider. The firm notes, however, that Apple appears to be going in circles with its approach to the player's enclosure materials. 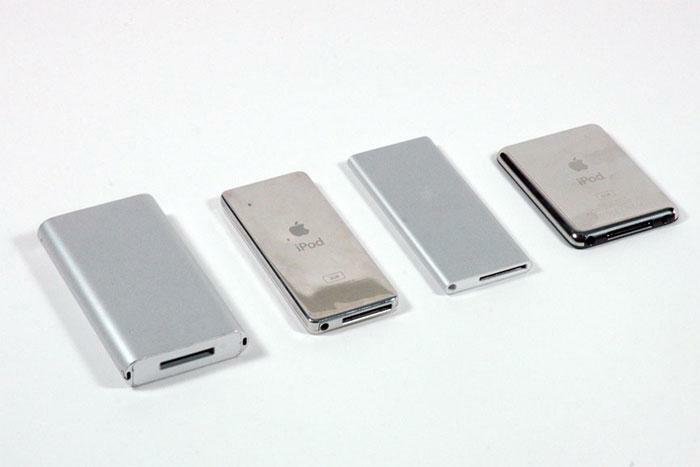 While the original iPod mini (or nano predecessor) came wrapped in anodized aluminum, Apple returned to the shiny metal back enclosure with the first iteration of the nano in 2005. Apple last year made the jump back to the more ambitious anodized aluminum enclosure for its "re-mastered" nano, only to return to the shiny metal back again this year. In total, the new nano case has eight locking tabs (3 on the left, 2 on top and 2 on the bottom right). There are then six Phillips screws fixing the logic board to the casing. 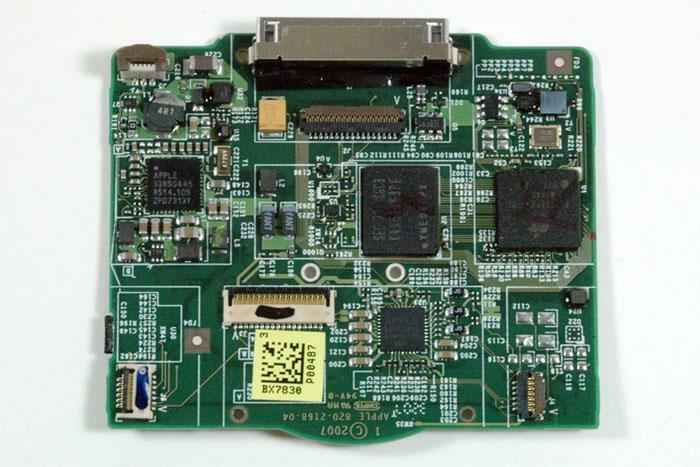 Once the screws are removed, the logic board can be lifted slightly but remains tethered by the visible click wheel cable and the hidden display cable. 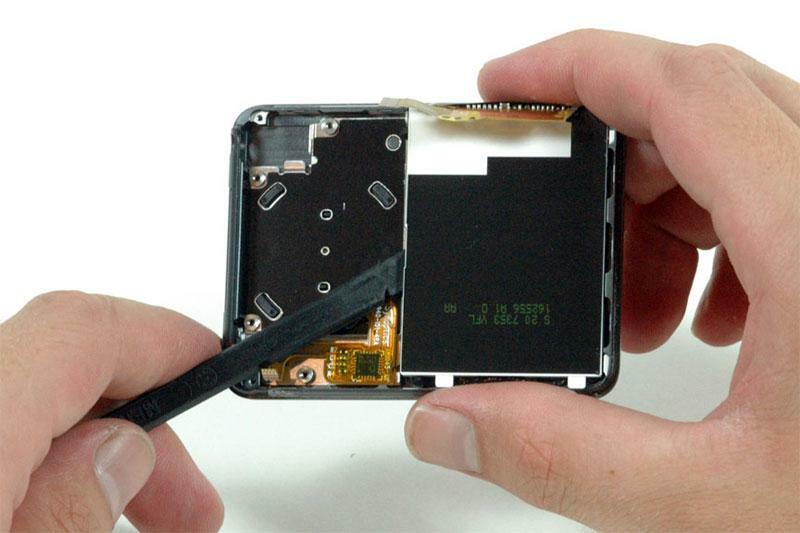 "We're noticing a strong trend as we take apart this iPod: adhesive," wrote iFixIt. 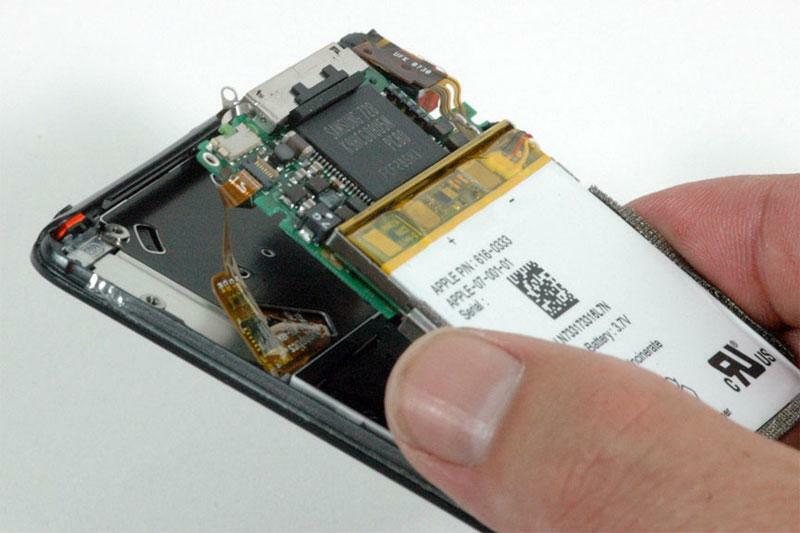 "The click wheel is held in place by nothing but a very strong adhesive, which is going to make replacing it difficult. You'll have to get it to stay in place as well as Apple has (i.e. very well)." 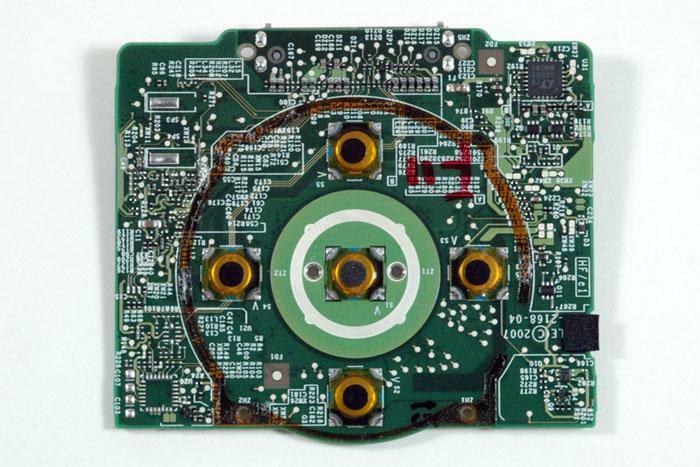 Meanwhile, the battery is attached to the logic board by three through-hole solder points, which will similarly make replacements difficult. 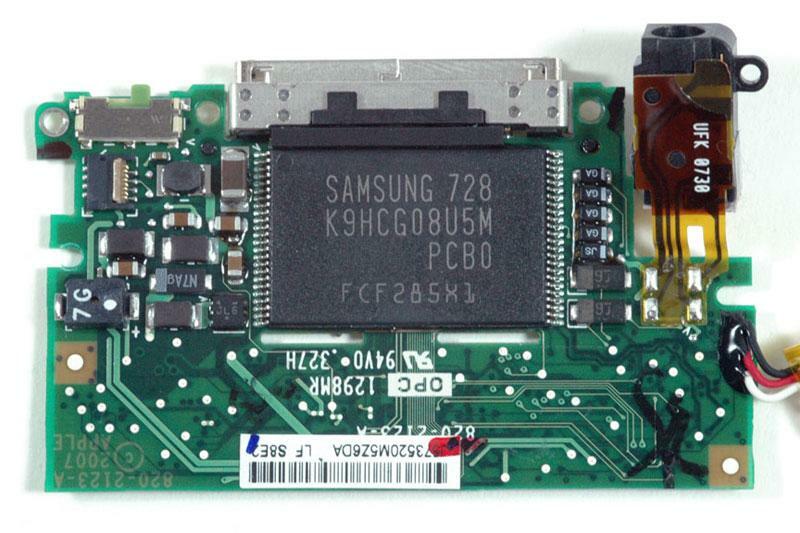 The nano's headphone jack is also soldered to the logic board, as is an 8GB Samsung flash memory chip. 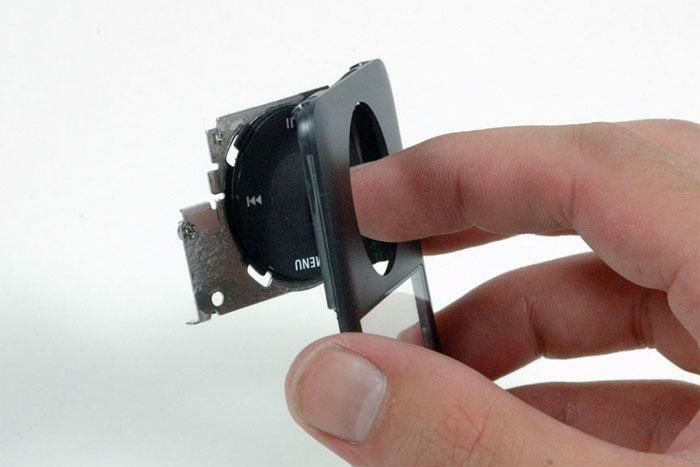 iFixit's third-gen iPod nano take-apart guide. 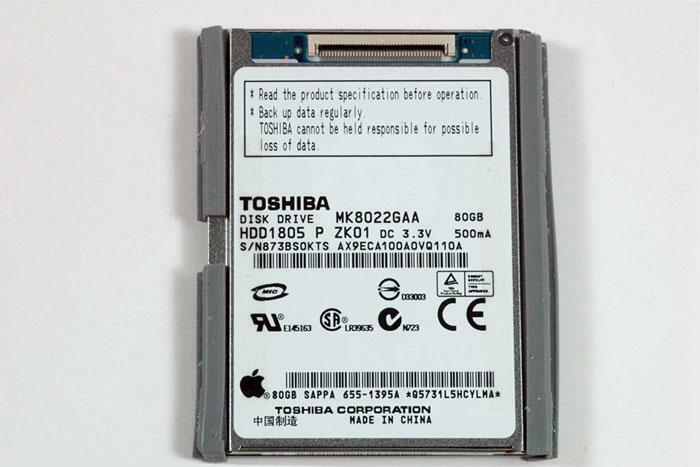 Apple's new 80GB sixth-gen iPod classic and 30 GB fifth-gen video iPod share the same footprint, but the iPod classic manages to be thinner thanks to a 5mm thick Toshiba hard drive. 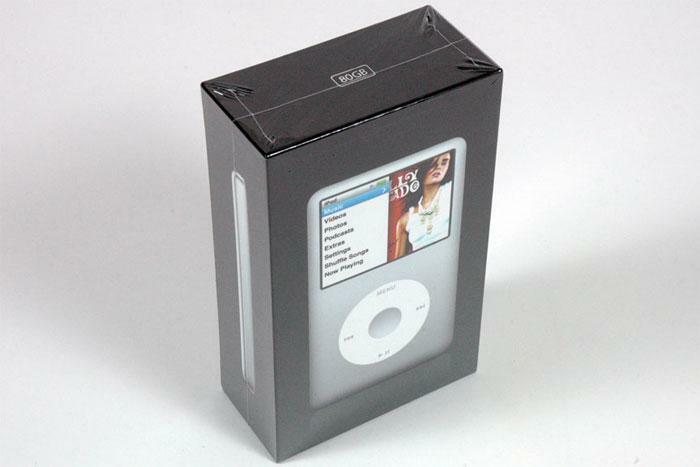 The new iPod classic also sports an anodized aluminum face, which is slightly beveled in contrast to the iPod video's flat, plastic top. 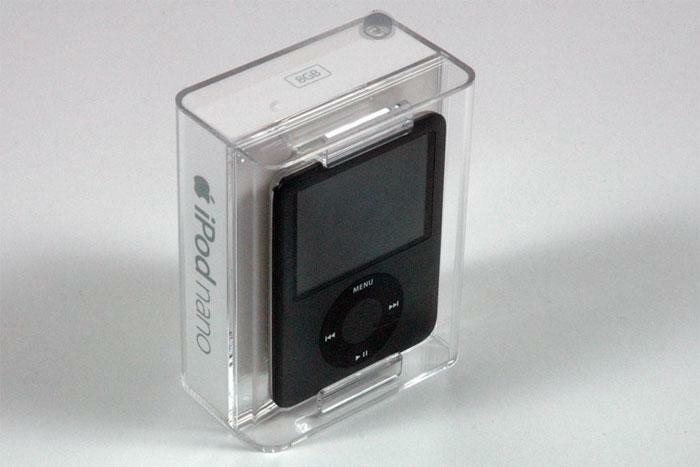 Going along with its new aluminum faceplate, the iPod classic exchanges plastic tabs for metal ones. 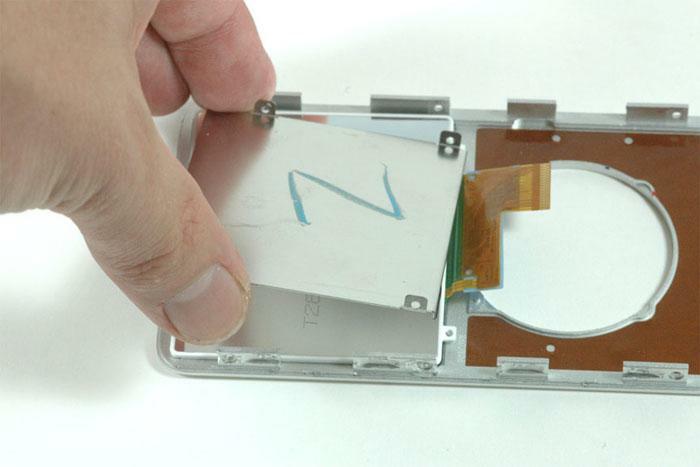 iFixIt says the new tabs catch much more effectively, making the case harder to open up. 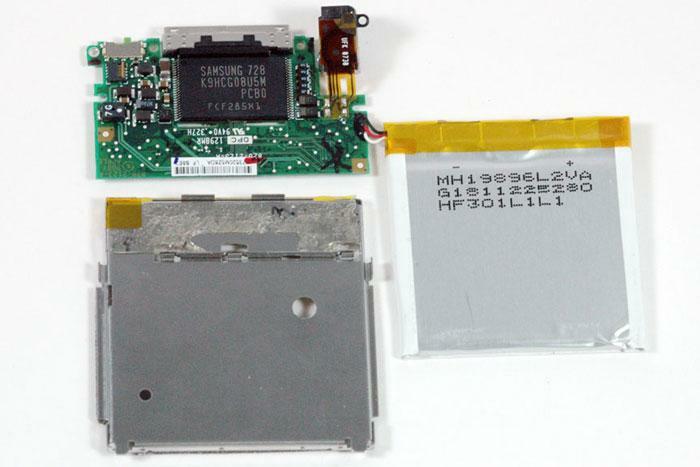 "We were surprised to find a new metal plate backing the display," the firm wrote after successfully prying the player open. "Perhaps it was put there to support the display, making a break less likely?" 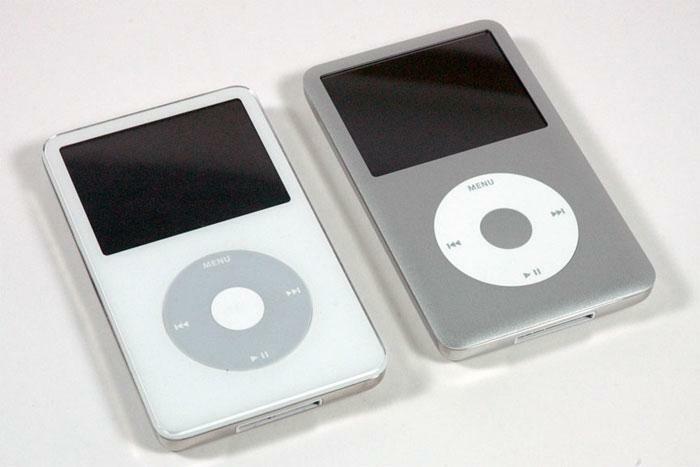 Similarly, the iPod classic is said to include a new display that is quite a bit thinner (about seventy percent as thick) than the old video iPod's. 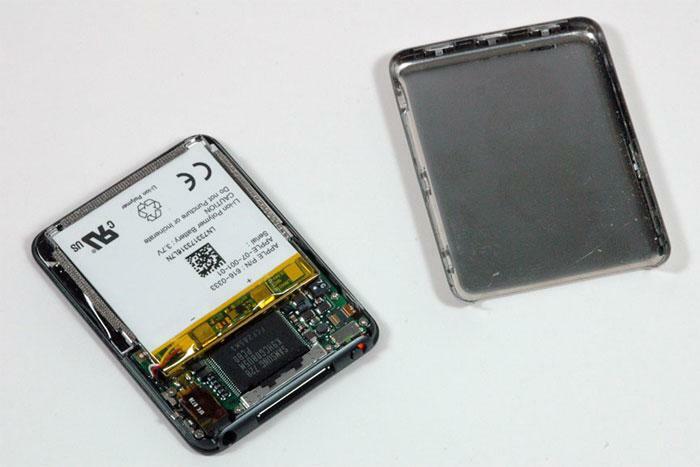 The battery, however, is exactly the same as the one used in the old 30GB video iPod. 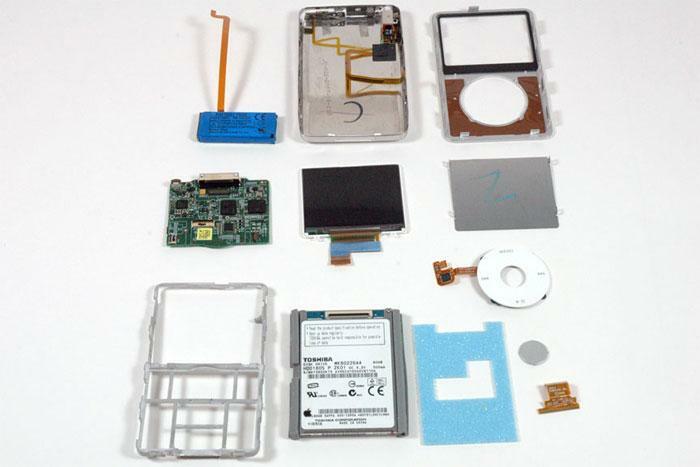 iFixit's sixth-gen iPod classic take-apart guide.